There’s a saying that age is just a number, and now, perhaps more than ever, it’s especially true. Don’t be tied to preconceived notions about how people your age should look or act. Take steps to look and feel your best, regardless of how many birthdays you have had! Incorporating physical activity into your usual routine is a great way to maintain your weight and keep you looking your best. Plus, it also helps ward off many health concerns, from heart disease to diabetes. The Center for Disease Control recommends adults get at least 150 minutes per week of moderate exercise or 75 minutes per week of vigorous exercise. In addition, two sessions of strength training help tone and develop muscles. Try joining or starting a running or walking club with others in your neighborhood if you’re having a hard time finding the motivation to get started. If you feel like your youthful appearance is disappearing, there are plenty of ways to preserve it and keep yourself looking as good as you feel. A non-invasive procedure like an eyelift can make a huge difference and give you a confidence boost. In addition, consider revamping your wardrobe. Although you won’t be turning to today’s teen fashions to make yourself look younger, you can find stylish clothing that is flattering and age-appropriate. The foods you eat have a big impact on both how you look and how you feel. Eating a healthy diet helps you manage your weight. Keeping your diet free from foods that sap your energy helps you feel ready to tackle anything. A healthy diet should include plenty of fruits, vegetables and whole grains, but that doesn’t mean it has to be boring. Try a new recipe, like a quinoa salad or a Turkish red lentil soup. Feelings of stress can spill over into the rest of your life. Instead of dwelling on things that cause you stress, find outlets to let you relieve that tension. Look for local coupons that let you try out a new yoga studio or pottery class. If you’re more of an introvert, find some instrumental music you like and play it while you sit quietly and meditate for at least 10 minutes each day. Learning stillness can help you focus your attention and remember that stressful situations in your life aren’t going to take over. Having a negative attitude about yourself is sure to spill over into how you carry yourself and how you feel on a daily basis. Find friends who make you feel positive and who focus on the good things in life rather than the bad to help support your own positive outlook. You don’t have to be that perfect person your mother may have led you to believe you needed to be. Embrace who you are and enjoy the life you have. Developing healthy patterns in your daily routines has a huge impact on how you look and feel. Say no to complacency and get out there to make the most of every day, week, month and year, regardless of your age. You might just feel like you turned back the clock a few years. Danielle, who loves blogging about her favorite brands in her spare time, is an avid yogi and a true believer in positive thinking. She enjoys trying out all the latest trends in beauty. Her latest endeavor has been researching non-invasive eyelifts and stress relieving tactics. Read her work at eatbreatheblog.com. Psalm 86:4-5 Gladden the soul of your servant, for to you, O Lord, do I lift up my soul. For you, O Lord, are good and forgiving, abounding in steadfast love to all who call upon you. Psalm 103:8-12 The LORD is merciful and gracious, slow to anger and abounding in steadfast love. He will not always chide, nor will he keep his anger forever. He does not deal with us according to our sins, nor repay us according to our iniquities. For as high as the heavens are above the earth, so great is his steadfast love toward those who fear him; as far as the east is from the west, so far does he remove our transgressions from us. Matthew 5:22-24 But I say to you that everyone who is angry with his brother will be liable to judgment; whoever insults his brother will be liable to the council; and whoever says, ‘You fool!’ will be liable to the hell of fire. So if you are offering your gift at the altar and there remember that your brother has something against you, leave your gift there before the altar and go. First be reconciled to your brother, and then come and offer your gift. A Little Of What I Get In A Favorite Newsletter! In Heavenly Company, you’ll travel to Texas, to Russia, to Africa, and read about real-life encounters with God’s heavenly angels and the earth angels who appear out of nowhere in a time of need. You’ll meet guardian angels, protector angels, warning angels and comforting angels, as well as mysterious strangers whose help makes all the difference. These are remarkable stories by real people who were touched by angels—briefly, or in life-changing ways. You can sign up for Guideposts Newsletter Here! Whether you’re a mom or a grandmother you know how much of a challenge it can be to keep your home clean when you have little finger prints around the house. It doesn’t matter if you have young children or teenagers; they all seem to make little messes. They may go unnoticed for the moment. However, over time, those little messes will turn into big sticky ones. It doesn’t matter if you have a long or short list of cleaning tasks to get done; if you procrastinate, you may become overwhelmed when you finally decide to tackle them. Letting cleaning chores build up will only lead to stress, and who needs added stress?! Decide to take on the cleaning chores as they need to be done. This way you’ll breeze through them much quicker. Below are cleaning tips for each set of tasks around your home that needs to be done at least every three months or so. As a busy mom or grandmother, you will find that cleaning the windows (especially if you have a lot of them), to be somewhat of a challenge. To make the job easy and hopefully a one time thing; consider purchasing a squeegee with a removable handle. The long handle will make it easier for you to clean the outside windows. Also, of course your job of cleaning windows will be much easier if you have the tilt-in type. Consider yourself lucky if you have the tilt type. The carpet cleaners you rent from the stores can be big, awkward and heavy, making it difficult and inconvenient for moms and grandmothers to handle and use. Consider purchasing one that is light-weight and up-right that looks like a regular vacuum cleaner. For stubborn carpet stains, make sure and spray a good pre-cleaning spray and leave on the stain at least 15 minutes before actually cleaning your carpet. Also, clean one half of a room at a time. This way moving your furniture around and also cleaning under furniture will be less difficult. Depending on the type of floor you have, there are small machines you can purchase to make the job easier. Mops and buckets are basically a pain and a thing of the past! So using these light-weight types of machines make it much easier. For instance, the Swiffer mops with washable or disposable cleaning pads are ideal for hard wood floors. Keeping your upholstery clean is important when you want your home to look nice and presentable when people come to visit. You will want to do some research and select a cleaner that won’t harm your upholstery. If your carpet cleaner has a hose and attachment, you might consider using that if it’s not too powerful. You might consider test cleaning on a part of your sofa or chair that’s hidden before hand just in case it is harmful on your upholstery. Also, there are dry cleaning kits you can use on your furniture, so do some checking around before tackling upholstery cleaning. Spring cleaning is a great way to refresh your home after a long winter and it gives you a chance to clean those items that might only get a true cleaning once or twice a year. As a busy mom or grandmother you may find this to be a long process, but if you use the tips above, the process will go much smoother. You can find more cleaning tips by Tammy Here. It offers pertinent information on hearing loss patients of all ages as well as the appropriate treatment as well as reviews. I can’t even begin to imagine not being able to hear. There are quite a few people in this world (from all ages) that are completely deaf. However, most people that are hard of hearing or almost completely deaf are naturally the elderly. And a lot of Grandparents for sure! Speaking of the elderly, my father is 81 years old and he is extremely hard of hearing; so much that it’s nearly impossible to talk to him on the phone. You have to literally yell on the phone when you’re talking to him. At any rate, I wanted to share a heart-breaking story concerning my father in this review. I took important time out of my busy days of working from home to make an abundance of phone calls as well as in-person visits to get my father a hearing aid (through the government) for the low price of $35. I ended up taking him (I think) for 4 visits just for evaluations, fittings, etc. (Keep in mind I live about an hour away from my Dad). We finally had the hearing aid. However, guess what? He would not wear it! That’s right. LOL He says he’s too nervous to mess with it. We’ve all attempted to help him work with it and I even made yet another appointment for the professionals to help him with it. Sadly, It did not work. 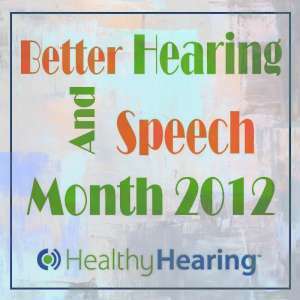 ~*~*~*~*~*~*~*~*~*~*~*~*~*~*~*~*~*~*~The Healthy Hearing website includes extraordinary studies, guidances and various briefings on many more than 4000 self sufficient hearing clinics. It’s essentially the largest directory on the net today. The website also has excellent article content consisting of; Types of Hearing Tests for Children, Playing Sports with Hearing Loss, Traveling With Your Hearing Aids, Healthy Hearing Provides Communication Strategies to Cope with Hearing Loss, and Financial Assistance: Let Them Hear Foundation. 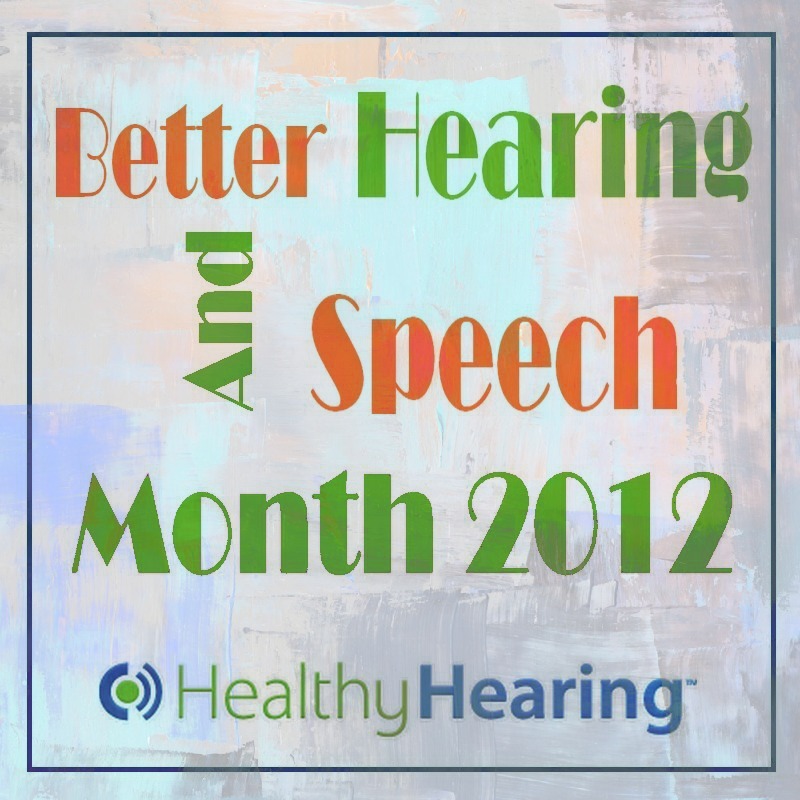 Hearing Loss and TreatmentHearing loss can profoundly impact the safety of everyday living. If an individual’s hearing loss is sever enough, it can prevent them from hearing danger signals. These signals consists of: danger warnings from your own car, railroad train crossings, police car sirens, bad weather alarms and the like. 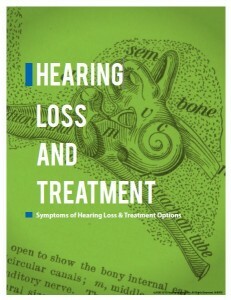 There is a free guide that offers guidance information and various hearing loss resources on the Healthy Hearing website. This free guide offers evaluations in the “Types of Treatment” area after you are seen by your professional health care provider. There may be medication, surgery, or a hearing aid required. There is also an option for implants. 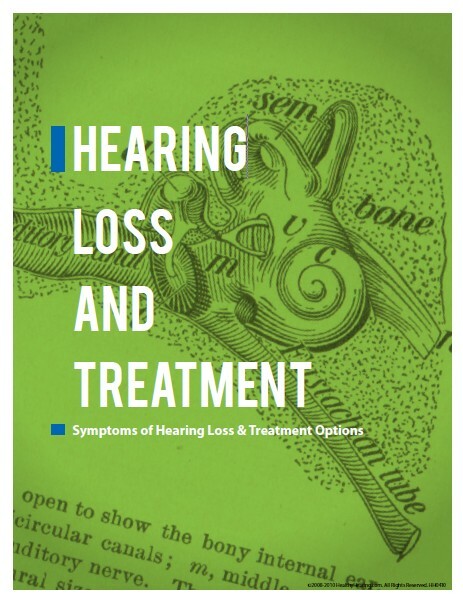 The free guide goes into in-depth details concerning the severeness of hearing loss; the treatments of surgeries, medications, hearing aids and implants. It also covers frequently asked questions and answers. Like anything else, early detection may save your hearing; however, left untreated, your hearing loss can become permanent. It is suggested to have evaluations as soon as possible. Click HERE for the free guide! Better hearing is not a destination, but a process. We hope that our educational resources improve your personal journey and/or the journey of a loved one. We encourage and welcome your input so that we can continue to improve this process and help others. If you have any feedback, please feel free to contact us using our online form, or give us a call at (800)567-1692. In a greased pan add 1 bag of hashbrowns, then drizzle with the melted butter. Add the salt and pepper and bake at 450 for about 20min until they start to brown. While the hashbrowns are cooking, brown the sausage in a frying pan with onion and bell peppers. Pour sausage over cooked hashbrowns, then pour the beat eggs over evenly. Bake in the oven at 350 for about 10min. Pull out and cover with Cheese and put back in for another 10min to 15min. A regular dental check-up is usually not a priority with many people and studies have shown that the reason for this is deliberate. It is fact that many avoid seeing the dentist. But people above forty years old are apparently the ones with most dental trauma. Often, what people do is to wait and see if the pain in the teeth goes away. A study revealed that, on average, older people would rather endure two weeks of this than face the dentist. Younger individuals, meanwhile, can only last with the pain lingering for three days, and then relent to a dental treatment. Having dentophobia may only lead to complications when treatment is delayed. With older adults, the risks increase two-folds, as the gums and dental tissues become weaker with age. Dental fears may be easier handled following the suggestions below.. Most patients have an aversion to the sound of the drill, but many dental clinics now make use of tools and handpieces that register lower pitches or provide ease of use. Gone are the traditional tools our grandmothers were accustomed to and these spunkier tools actually offer a lot of help in allaying dentophobia. Some clinics are even more advanced since they make use of soundless, painless laser drills. Dental technology has indeed advanced over the years, and along with it, tools and treatment process have also greatly improved. To condition patients into visiting the dentist often, it would probably help to survey the clinic first and see that this is not as intimidating as before. You need to spend a few minutes in the dentist chair and have a feel of the area, as well as have the dentist show and explain the different tools that may be used during your treatment. Most often, the worries crop up because of a patient’s unfamiliarity with the whole dental process, and doing this may change your mind. Some clinics are actually offering spa-like amenities while patients are getting treatment, so that they feel more comfortable sitting on the dentist chair. People get foot massages or they are provided with warm pillows and blankets, as the dentist work their way into the gums and the teeth. Fragrance oils enhance pleasurable experience, so you may find this in the clinics, as well. If pleasures like these are not available in the clinic you go to, you can always ask your dentist. Bring your own indulges, such as a CD player to have music distract or relax you while getting treatment, or a stress ball to relax your muscles and ease your dental stress. You would be surprised that many dentists are usually open to this idea. Distraction techniques are actually nothing new since this is applied to patients who are a lot younger, specifically, with the grandchildren. There are simple yoga techniques you can adapt to reduce dental stress, such as doing breathing exercises. Take a deep breath and hold this for five seconds before exhaling. Combine this with slow-paced breathing methods, and utter words and sounds as you exhale. Repeating the process will slowly bring you to a relaxed state. Do this before getting the procedure. Of course, the dentist must be aware of why you need to do all these techniques. Discuss dental fears ahead with your dental provider because they do need to be involved. They may even offer other strategies and coping mechanisms to help you. Or they could also instruct their staff to give you consideration with appointments, allowing you more time to adjust to getting a treatment. Dental fear is common and quite manageable for many people. There are but a few who require behavioral therapy to address this though, especially when more complicated procedures, like a incognito braces treatment, is involved. Visit http://bracescostinfo.com for more tips on managing dental fears and and dental concerns. Prayer is a wonderful part of Christian life. We get the opportunity to have a conversation with God. We can have this time with him as often as we want. As a child, my mother was the one that influenced my prayer life. In fact, she used to take me to some prayer meetings with her. I learned so much by being around the seasoned Christians. They would often pray over me and teach me scripture. I learned how to pray and then wait to hear that still small voice of the Lord. With my children, we have prayer time everyday on the way to school. At first they would ask Jesus to bless Barbie but as the years have gone by they now pray for the school, our community, the country and our president. I have taught them the beauty of being quiet and waiting for that still small voice just like my mom and others taught me. 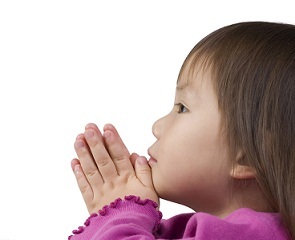 I hope you will take some time to pray with the children in your life. Teach them prayer is just a conversation. Show them by example and then let them have a turn even if they ask the Lord to bless Barbie. Remember they are learning and it’s a progression. Has this article blessed you? Maybe it’s reminded you to hang out with a child and talk about Jesus. Would you share a comment below? We would love to hear from you! Article Written By Lori Lauth From – Life Lessons For Christian Women. • If you don’t want to go to the work of pureeing and straining fruit, use a fruit pancake syrup. We made ice cubes from blueberry syrup and used them in lemonade, as shown in the picture above. Dilute the syrup with two parts water for one part syrup before freezing the ice cubes. Other syrup choices include boysenberry, cherry, raspberry, peach, and strawberry. • Add pancake syrup to your lemonade to make cherry lemonade, strawberry lemonade, and so forth. • Add fruit juices or fruit syrup to soda water. • Add fruit juices or fruit syrup to lemonade. Fresh is always better. If you have a food processor or blender, here is a great way to convert a couple lemons and a tub of strawberries into a wonderful, fresh beverage. Puree the lemon juice, sugar, and, strawberries together in a blender or food processor. Add the food coloring. Continue adding ice cubes until the mixture is diluted to the desired taste. Add more sugar for a sweeter drink. Baker’s notes: If you add enough ice you will have a slush. If you desire a more frozen beverage, place the blender jar in the freezer and in a half hour, scrape the forming crystals from the sides. Repeat if desired. As with all smoothies, this is quick and easy to make. 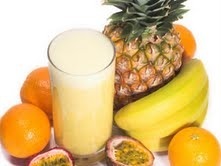 And as with all smoothies, you can vary the quantities of ingredients to fit your taste. Mix all ingredients together in a blender. Add more honey if desired. You can buy pina colada flavored yogurt in individual serving-sized cups at the grocery. What could be better than a tall strawberry shake? You’ll find that you can deliver a better shake than the local car hop. This is a thick strawberry shake made with plump, ripe berries and premium ice cream. It’s topped with sweetened, flavored whipped cream. The following recipe makes two shakes. So as to not overfill the blender, make a half at a time. Wash, trim, and slice the berries. Sprinkle the sugar on the berries and let them soak at room temperate for two hours or overnight in the refrigerator. Place half the strawberries and half the ice cream in a blender plus half the juice from the berries. Puree until smooth and combined. Add half of the half and half and mix. Put the shake in a tall, chilled glass while you make the second shake. Top the shakes with whipped cream and an optional strawberry and serve. There are some tricks to making a very good strawberry shake. Start with the very best berries. If they are not fully ripe, they won’t be flavorful but if they are starting to get mushy, they may have an off-taste. And put the right amount of berries in the shake. Judge the amount by the color of the shake; it should be a rich but pastel pink. If it’s too light, add more berries. Taste the shake before you serve it. If it does not have enough strawberry taste, add some strawberry flavor. Before making the shakes, chill the blender and glasses in the freezer. It’s hard to make a thick shake in a warm blender; it melts the ice cream. Your ice cream should be rock hard. (Use an ice cream spade, not scoop, to pry out hard frozen ice cream.) Don’t mix the shake any longer than necessary; the friction from the motor causes heat that will melt the ice cream. Chill the cream, the utensils, and bowl that you will be using. Beat the cream at medium speed until soft peaks form. Add the powdered sugar and flavor and continue beating until stiff peaks form. Do not over whip. Instead of vanilla, try a different flavor. Strawberry of course works but any of the “warm” flavors will do. French vanilla, brown sugar, and caramel flavors are all good choices. Pour sparkling water into tall glass filled with ice. Add Torani syrup and stir well. Dennis Weaver is the founder of The Prepared Pantry. He is the author of How to Bake, a 318 page book about the art and science of baking. You can download a free copy of How to Bake here. Kindle, Nook and iPad versions available.